It’s not often a new toothpaste comes on the market that is so different from traditional toothpastes, and such an improvement over them, that we are motivated to recommend it. But now there is one. 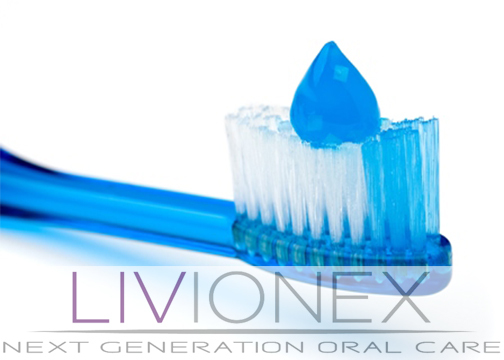 Livionex Dental Gel is much more than a toothpaste – it’s a major oral health breakthrough. Regular brushing with Livionex not only gets your teeth sparkling clean but virtually eliminates plaque – the primary cause of tooth decay and gum disease. It also reduces gum inflammation and bleeding and remineralizes your teeth faster than conventional toothpaste. Rather than scrubbing the plaque off your teeth, which is how conventional toothpastes clean them, the active ingredient in Livionex works by interrupting the ability of plaque to stick to your teeth. Brushing with Livionex twice a day can leave your mouth nearly totally plaque-free. For more information on Livionex, check our blog entry and visit the company’s website. If you would like to try a sample of Livionex, ask us for one the next time you visit our office. We’re excited about this product, and we believe it will make an important contribution toward improving and maintaining our clients’ dental health.